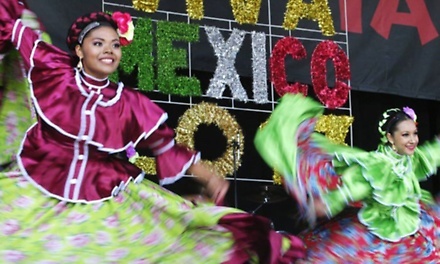 Mexican Fiesta takes place from Friday, August 21, to Sunday, August 23, 2015. Limit 1 per person. Limit 1 per visit. Valid only for option purchased. Online reservation required by 8/15.